"Folding handle". Two of these. 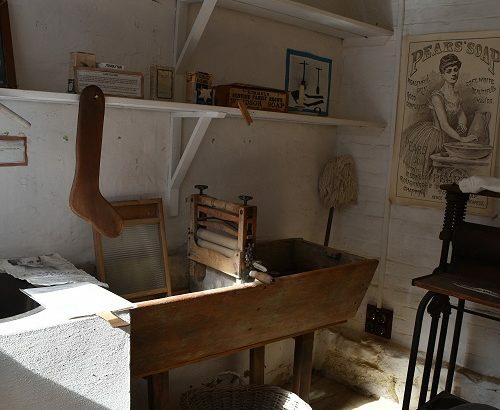 A small mangle (2 photos) sitting on table and a larger freestanding mangle (3 photos). "Made in England". Freestanding mangle. 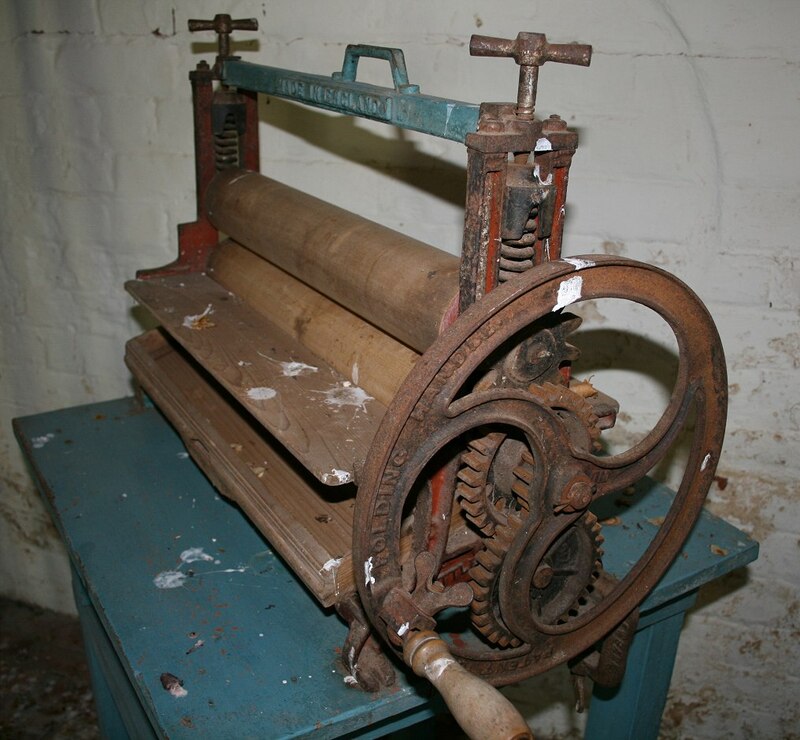 Above the rollers it has "Wring at each end of rollers". On cog behind wheel "OIL"